IRON COUNTY — The Iron County Commission denounced the actions of the Bureau of Land Management — along with other involved parties — on Monday regarding the actions taken following a protest at Recapture Canyon in San Juan County in May. 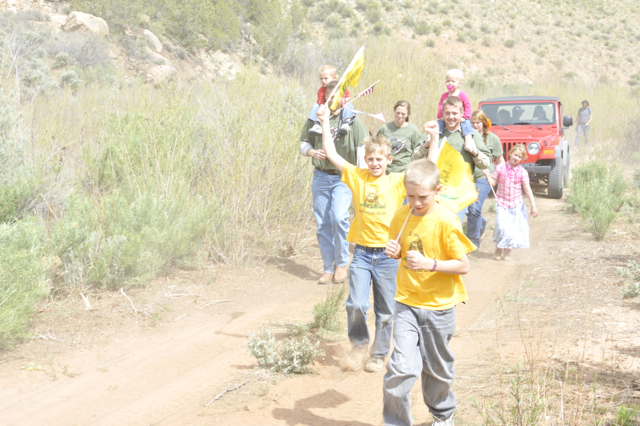 On May 10, more than 200 protesters gathered in Blanding to speak out against the BLM’s choice to restrict the off-highway vehicle use of trails through Recapture Canyon. The restrictions have been in place to allow for archeological research in the area of dwellings and ancient artifacts. 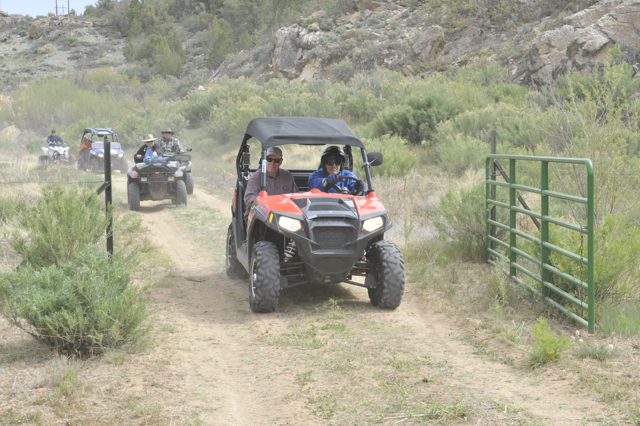 In objection to the closure, the group initiated a protest ride through the canyon atop OHV’s, ATV’s and horses. The group consisted of community members, sheriff’s office deputies, out-of-state protestors and San Juan County Commissioner Phil Lyman — who had promoted the protest though Facebook and spoken about it through interviews with the press. Following the protest ride, Juan Palma, BLM state director, issued a statement speaking out against the actions of those involved with the ride. “The BLM will pursue all available redress through the legal system to hold the lawbreakers accountable,” Palma said in the statement. Since the protest, five people have been charged with operation of off-road vehicles on public lands and conspiracy, Iron County Commissioner Dave Miller said. Commissioner Lyman is also included in those currently being charged with these crimes. At an Iron County Commission Meeting on Monday, the commissioners approved a resolution denouncing the actions of the BLM, Palma and U.S. Attorney Carlie Christensen. “… Iron County believes this is an attempt to squelch the voice of elected officials and citizens who are willing to take a stand against wrongdoing by federal agencies,” the resolution said. The resolution calls for the dismissal of all charges facing the five protestors as well as immediately lifting the administrative closure of Recapture Canyon. The decision to only charge five people out of the hundreds in attendance is another point of conflict highlighted in the resolution. “… Isolating (five) out of hundreds of protestors and criminally charging those (five) individuals rather than a civil suit against the county is wrong, unjustifiable and an act of intimidation and bullying,” the resolution said. The area has had plenty of time for archeological evaluation, Miller said. The closure of the canyon was originally supposed to be temporary, and is has been seven years since it first closed in Sept. 2007. “Many counties have already sent copies of resolutions they have passed and we’re joining with them in taking this action today,” Miller said. The Iron County Commission will next meet on Nov. 10 at 9:00 a.m. in its chambers at 68 S. 100 East in Parowan. Community members are encouraged to attend. It’s amazing how dumb Dave Miller is. I cannot help but be reminded of children, who were told not to eat the cookies and told the consequences and then were caught with their hand in the cookie jar and immediately want to argue about the punishment that had been set. The rule of law should not apply to redneck patriots. Freedom! USA! What rule of law? The feds are out of control PERIOD! They do anything they please and call it law. Federal judges think they are God and then proceed to act like it. The rule of law would be abiding by the US constitution- the official law of the land but the federal government has long ago abandoned that document in favor of their own ideas. We are no longer a nation of just laws and fair, clean elections. The corrupt and the powerful rule absolutely and do anything they want to. They get us into bloody unjustified foreign wars. They tax us to death. They try to overrule our state laws and on the list goes. Spoken like a self entitled redneck that thinks he ought to be able to do anything he wants, at anytime he wants to on land owned by all of the American public. Sheriff’s are here to uphold the law. If they’re not satisfied, they should work through the process to change it. Protest can be useful but it does come with a price. Protest groups always have ring leaders. I don’t know if those arrested fit that description, but if they do, then charging is appropriate. The commissioners should be working within the process we have to get laws changed they don’t like and not encouraging their citizens to break the law. There is so much area where OHVs can be ridden that it boggles my mind these folks just can’t stand having an area they can’t ride. It seems so very childish. Horses have even more areas they can go. BLM did right to charge these folks and to close the area initially. Ah, the days of we will do what we want, where we want, and when we want, regardless of the law is holding strong with the ignorant. Dave Miller is a loose cannon. But I’m sure they all called for Bundy’s arrest, when he didn’t comply with the law. You fight the bull and you usually get gored.